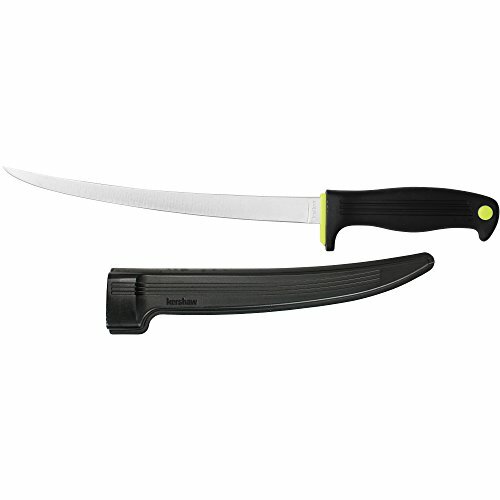 Kershaw Clearwater 9-In Fillet Knife (1259X) Fixed 420J2 High-Performance Stainless Steel Blade with Satin Finish, Black Textured Co-Polymer Handle with Neon-Green Detail and Included Sheath; 3.8 OZ by Kershaw at Baking Love. MPN: KER-125909-KFI. Hurry! Limited time offer. Offer valid only while supplies last.